These companies did almost $250 billion in business over the past year and generated over $26 billion in free cash flow. These three writers think those numbers are going to grow in the years ahead. Large-cap stocks may lack the excitement of their smaller brethren, but they can still make for some of the best investments. That's particularly true if you identify top companies with strong competitive advantages, solid long-term prospects to continue growing, and great management -- and make sure they can be bought at a reasonable price. 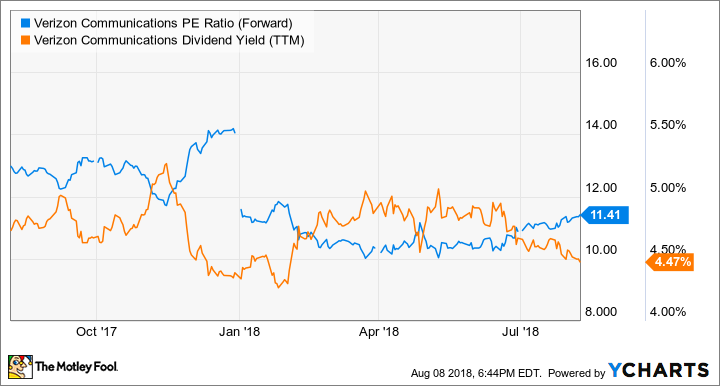 As a matter of fact, three Motley Fool contributors recently identified three large-cap stocks they think are worth buying right now: Boeing Co. (NYSE:BA), Verizon Communications Inc. (NYSE:VZ), and Nucor Corporation (NYSE:NUE). These are three of the most dominant companies in their industries, enjoying benefits of scale, technological know-how, and strong balance sheets under the control of top-notch management. Best of all, there is a clear path forward for years of earnings growth, despite their already dominant size, and you don't have to pay a big premium, either. Boeing trades for a reasonable valuation, and there's an argument that Verizon and Nucor are downright cheap today. Keep reading for more insight on these three "buy now" large-cap stocks. One could be perfect for your portfolio. 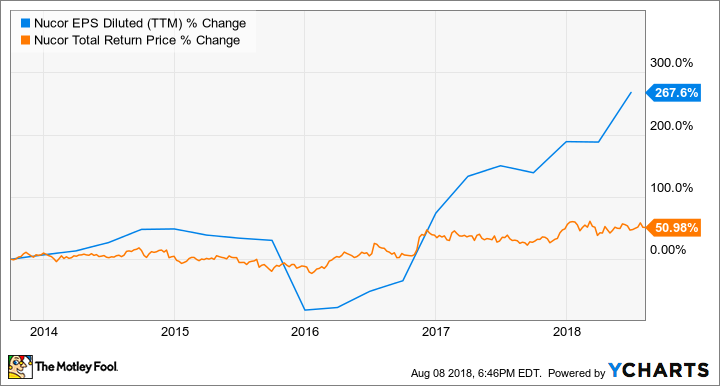 Despite Boeing's recent rise in share price, there are still plenty of factors that bode well for the company and its investors going forward. One factor is Boeing's improving commercial airplanes segment operating margin, which jumped to 11.4%, compared to the prior year's second-quarter 9%. The driving force behind that improvement was the 787 Dreamliner's increased profitability. Boeing's Dreamliner program should receive another boost as it moves from producing 12 planes per month during 2018 to 14 per month in 2019. 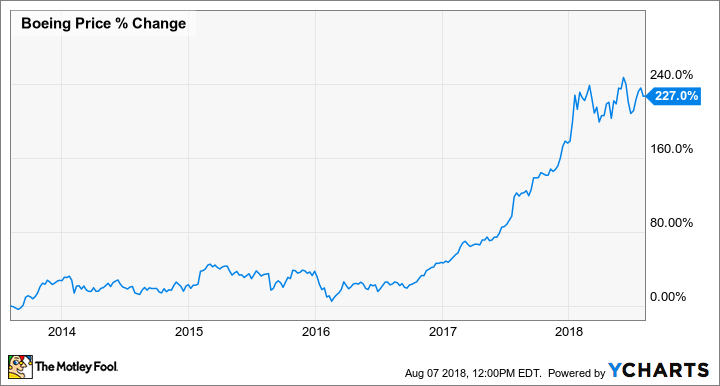 While Boeing is dealing with a constant risk of trade war, it otherwise looks well-positioned to reward shareholders as management anticipates a need for 41,030 global commercial aircraft valued at roughly $6.1 trillion over the next two decades. If the company can keep improving its commercial airplane operating margin, finally get past nagging charges from its KC-46 program, and continue increasing its dividend for shareholders, there's still plenty to like about owning Boeing. What I like about Verizon today isn't just its legacy business -- it's the growth potential of the 5G network that's being built today. 5G wireless speeds are 10 to 100 times faster than 4G networks and will enable new technologies like self-driving cars, smart cities, and connected virtual reality devices. Even before 5G hits smartphones, it will also allow Verizon to enter the home wireless market with 5G routers, replacing cable, DSL, and fiber competitors. Later this year, Verizon expects to launch a home 5G router that will allow homeowners to cut the cord for their home internet and get world-class speed. These new offerings should lead to a new phase of growth for the company.